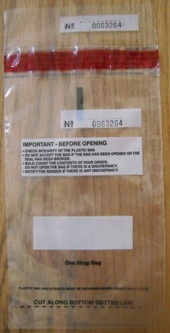 Our 4.5 inch x 7.5 inch OSB Clear Plastic One Strap Bank Deposit Bag, Cash Bag comes in a package of 2000. 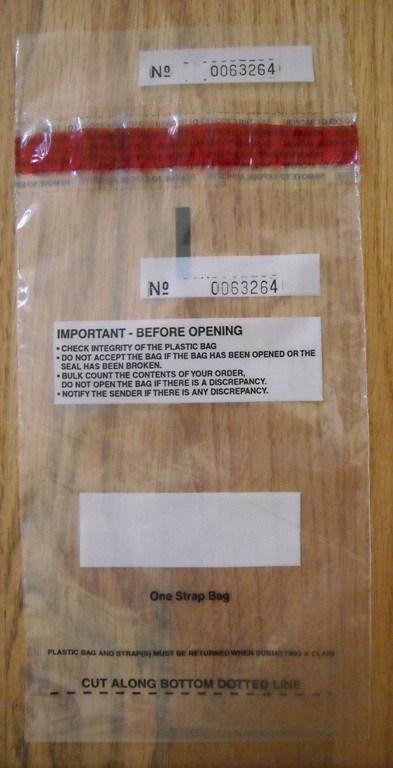 Strap bag has an adhesive strip closure, sequential numbering and tear off receipt at top of bag. Federal Reserve Approved bag. A great 1 strap bag at a great price for your cash handling needs! Go to top of this 4.5 x 7.5 OSB Plastic One Strap Bank Deposit Bags, Pkg of 2000 page.